I am not much of a baker--you might remember that from this post about my favorite cookie recipe. Usually recipes in the kitchen turn into disasters. A few weekends ago, I was going to try out my new donut pan to make pumpkin spice donuts. The first batch came out and I tried to take them out before they had cooled enough and I ended up with pieces of donut everywhere. Since I didn't have enough to batter to make a dozen more donuts, nor did I have any more patience left. I decided to make muffins instead. 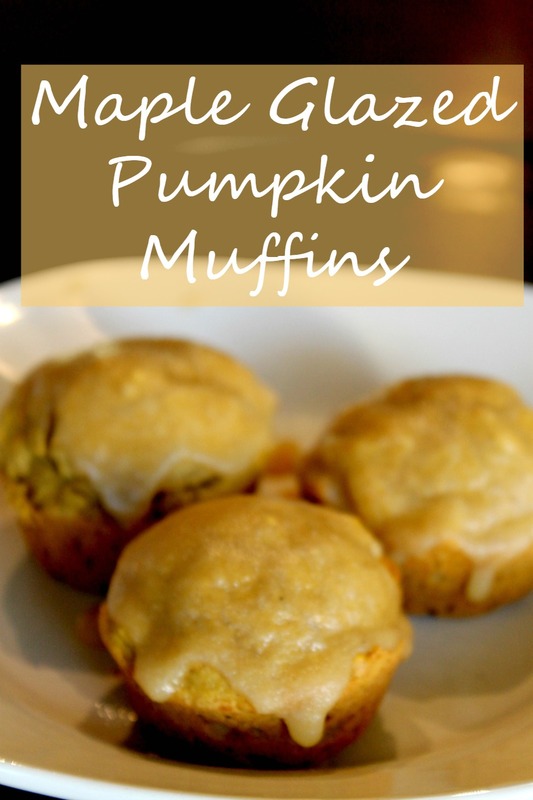 These muffins are perfectly filling and not overly sweet by themselves. 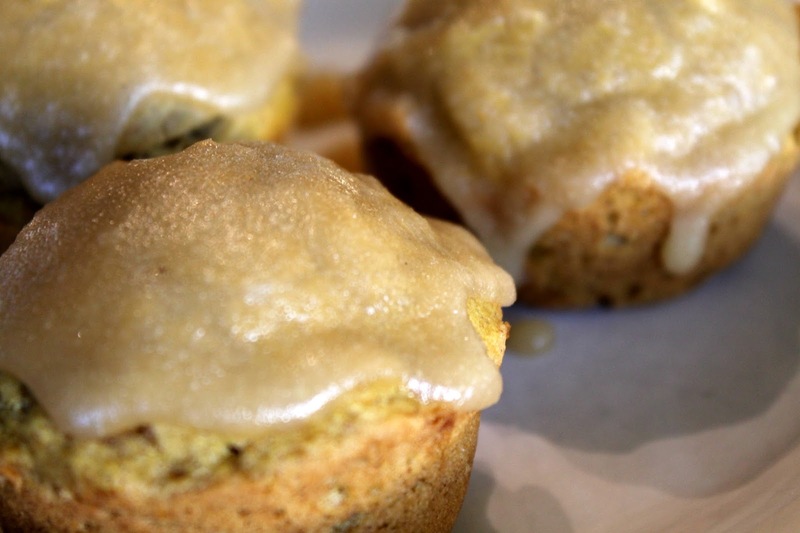 The sweet maple glaze adds the perfect touch to these Fall muffins. Trust me when I say, you need to make these. Lightly grease a muffin tin. Combine all dry muffin ingredients in a bowl. Add pumpkin, eggs, milk, butter, and vanilla and beat on low with a mixer until well combined. Scoop batter into each muffin tin and cook for 23-25 minutes until a toothpick comes out clean. Allow a few minutes to cool in the pan and then take them out to cool on a wire rack until they are ready for the glaze. While the muffins are baking, combine the butter and maple syrup for the glaze in a small saucepan, whisking together until butter is melted and liquid is smooth. Remove from heat, add powdered sugar, whisk together, and set aside to cool and thicken. If you're a fan of maple, you might want to try this by itself before adding it to the muffins--so good! Once the muffins are cool, either dunk the tops in the glaze or spoon the glaze over top of each muffin. You can allow the glaze to set a bit or you can dig right in and enjoy! Are you a maple fan? 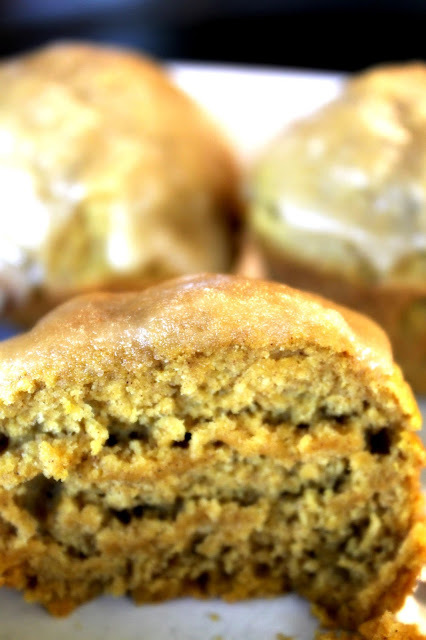 Have you ever combined pumpkin and maple?